The two impassive giants represent the Pharaoh Amenophis III. They flanked formerly the entry of its funerary temple. 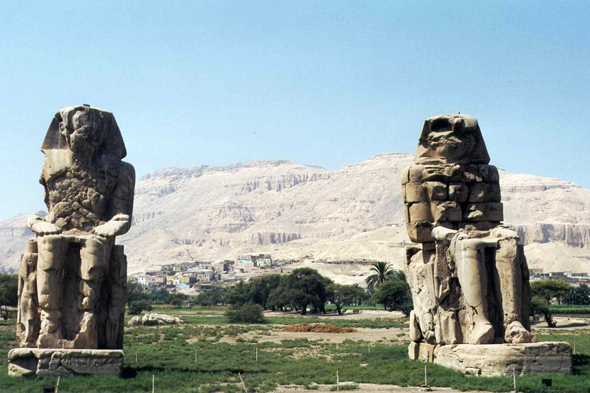 The colossus became a place of pilgrimage and the Greeks identified it in Memnon, the son of the Dawn.